In July, medical residents in family medicine at Kaiser Permanente in San Jose, CA, began screening adult patients for adverse childhood experiences (ACEs). But it’s an ACE survey with a twist: it’s shorter, not the 10-question survey of the original CDC-Kaiser Permanente ACE Study, according to Dr. Kathryn Ridout who is leading the pilot along with Dr. Francis Chu and Dr. Alec Uy. Why a shorter ACE survey? Ridout, who came to Kaiser in August 2017, says her own interest in ACEs science stems from her medical residency in psychiatry. “Despite the diagnosis, there was this common theme of stressful exposures in childhood,” recalls Ridout. That realization led her to begin researching the biological underpinnings of early life stress, she said. 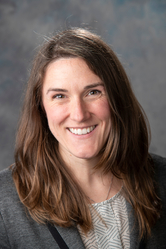 And then, she pursued a four-year post-doctoral fellowship at Brown University investigating the neuroscience of ACEs exposure in adults and children, and health outcomes. She focused on epigenetics and markers of aging. For the pilot, if patients answer yes to two of the questions, doctors consider offering them other support, says Ridout. Ridout says about 100 patients have been screened since July, and they expect to screen about 1,000 patients by the end of the pilot in December 2019. But Ridout and her colleagues are clear that to get a true sense of what further support their patients might need, they have to understand how resilient they are. “We can ask people did you have these exposures [to ACEs]. But it’s really how did they experience these exposures that’s important,” says Ridout. To measure and understand how patients weathered ACEs exposures, says Ridout, they’ll be adding screening for resilience in January. While they haven’t yet selected a resilience screening tool, one they’re considering is the Connor Davidson. And for patients who do need support in building resilience, Kaiser offers a range of services, she says, including online programs and in-person classes, and referrals for therapy or psychiatry. The goal, says Ridout, is that by the end of this year, all of the approximately 65 family medicine health care providers, nurses and medical assistants at Kaiser San Jose will begin screening patients who are 18 and older for ACEs. Similar to the training provided to residents and other staff who began screening patients for ACEs in July, the entire family medicine staff will be trained in ACEs science, including the nuances of interacting sensitively with patients who have experienced trauma. The training, Ridout says, follows established guidelines of the Substance Abuse and Mental Health Services Administration (SAMHSA), which also influenced decisions about the workflow. For example, instead of patients receiving the ACE survey in the waiting room, medical assistants give it to patients privately in the exam room, explains Ridout. The medical residents collect the filled-out ACEs survey, and give their patients handouts with options for seeking further support. What are the conversations that residents have with their patients after they’ve filled out the screen? Ridout says that they expect to analyze the data they will be collecting at the end of 2019, when they finish the pilot. Among the questions they’ll be examining are how the abbreviated ACE screen compares with traditional ACE screens in capturing ACE exposure. I’ve been starting to wonder, is pushing Pediatricians to screen for ACEs a way to increase the pharmaceutical market reach to kids? Poor urban and rural areas that have few resources generally do have one resource to “treat” behavioral symptoms associated with childhood trauma, Medicaid payments for psychotropic drugs. I believe doctors have to be very vigilant. I remember the time when pediatric bipolar did not exist. It became a thing after a Harvard physician and pharmaceutical spokes person made a CME for Peds docs. As long as ACE screening is not being done as a means to increase psychiatric drug sales. Psyche drugs do not treat childhood trauma effects. In rural areas like mine, for many, the only real treatment is psyche drugs. To all my pediatric colleagues, please remember the insidious nature of the pharmaceutical industry! Tina, I share your general suspiciousness of big pharma! But having just completed a 1 yr ACE pilot in rural VT I can tell you that there ARE evidence based treatments for family stress. There are the basics that Nadine Burke Harris reiterates in her book- nutrition, exercise sleep, counseling, mindfulness and social connection. I cant get any of my locals to meditate either, but I can use my home health workers, my local daycares, my local sports teams, my CIS, and the local movie theater to all pitch in to help with childhood trauma. An outstanding idea! Now, how can this be incorporated into the 10 minute visit that Docs are expected to accommodate? I hope to directly contact Dr. Ridout. The complaints re the original 10 question requiring too much MD time I fear is many MDs, from the beginning in 2000, did not follow Dr. Felitti’s recommendations: 1. Give the survey to the patient to complete at home to be brought in at their next appointment. 2.Respond to each revelation of an adverse event with, “How did that effect the rest of your life?” A core resistance for the MDs is their reluctance to explore these very important and sensitive experiences with their patients. The savings of medical cost was, and will continue to be, profound. I have pestered the Kaiser archive people with no success in my attempt to learn why Kaiser stopped promoting this original survey 16 years ago. What great news! Thank you for writing about it. Kaiser is really doing some great work. I know of their work encouraging plant-based diets to help overall health and there is evidence it can help deal with trauma, too, as a piece of the puzzle and not the only focus.